Imagine living a happier life, lived with intention and free from past trauma that has affected your behavior and decisions. Healing deeply-seeded psychological wounds is possible with the right therapist and the right treatment approach. Dr. Olga Vera has successfully helped people in Colorado just like you to heal past trauma and wounds, resulting in a healthier and happier life! The way trauma and PTSD affect an individual’s life differs from person to person and situation to situation. Dr. Olga Vera assesses each client to determine the best course of treatment drawing from her vast experience utilizing a variety of therapeutic modalities including EMDR, CBT, DBT, Hakomi and mindfulness practices. Trauma and PTSD are mental health disorders, which can be overcome and eased by working with a qualified and nurturing clinician like Dr. Vera. Sexual abuse, death, war, domestic violence, bullying, crime, divorce and medial issues are just a few examples of traumatic events which can deeply affect one’s life. The feeling of re-experiencing the event, nightmares, anxiety, self-injury, suicidal thoughts and endless mind-chatter are amongst behaviors associated trauma. In addition to her thriving private practice, Olga is a Facilitator of EMDR Basic Trainings and Senior EMDR Consultant. She is also the past President for the Colorado Psychological Association. As a trauma expert and consultant, Dr. Vera has provided training, humanitarian assistance, and consultation nationally. Olga is also a pioneer in the study and treatment of trauma associated with cyber-bullying. Dr. Vera has been extensively collaborating with New York City Forensic Psychologist, Dr. Michael Nuccitelli with Internet Safety Education, Cybercriminal profiling, Cyber Attack prevention and Intervention. This is an area that continues to expand with the growing connection to the internet/cyber world and the complexities of mental illness, trauma, and abuse. Many children and adults are suffering from PTSD related to traumatic experience online. Dr. Vera works with a variety of clients suffering from PTSD and other forms of traumatic internet/cyber world experiences. 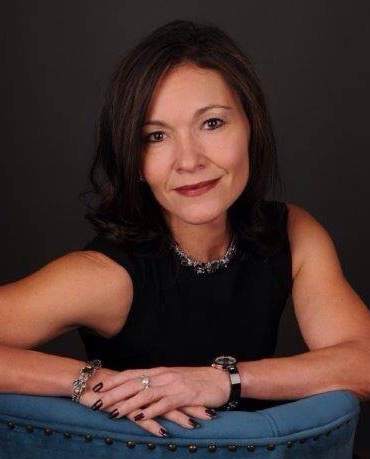 Dr. Vera is considered a trauma expert in Colorado and has worked in a variety of settings working with traumatized individuals, families and organizational systems in a variety of capacities including clinical/threat assessment, treatment, consultation, crisis debriefing and trainings.